What do jerk chicken, beef patties, and fried dumplings have in common? If your answer was, “they all sound delicious and make me want to go on my lunch break right now,” well, that’s true. 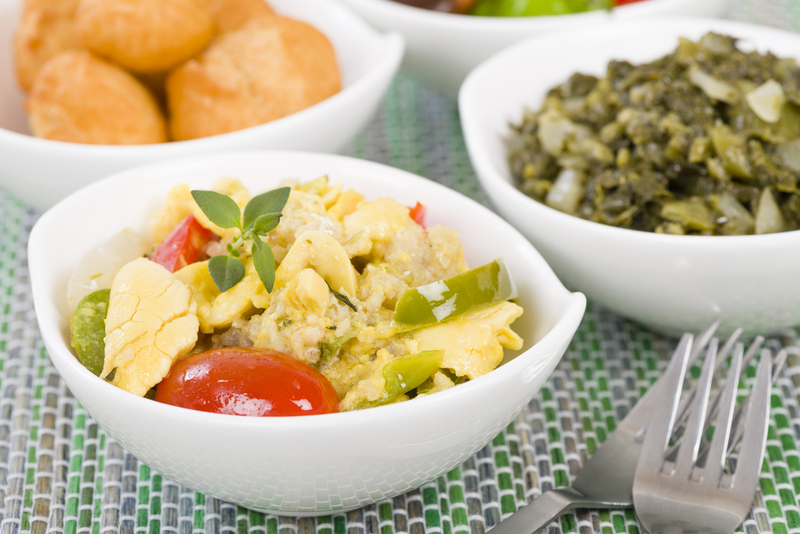 But the answer we had in mind was that they’re all dishes you need to try when in Jamaica. For such a comparatively small island, Jamaica is home to a wide-ranging and exciting blend of culinary influences and flavors. Incorporating traditions from around the world with uniquely Jamaican ingredients, this cuisine is unlike anything else and offers an incredible gastronomic experience to anyone willing to give it a try. So without further ado, these are the 10 foods you absolutely, positively, cannot miss on your next Jamaican vacation. 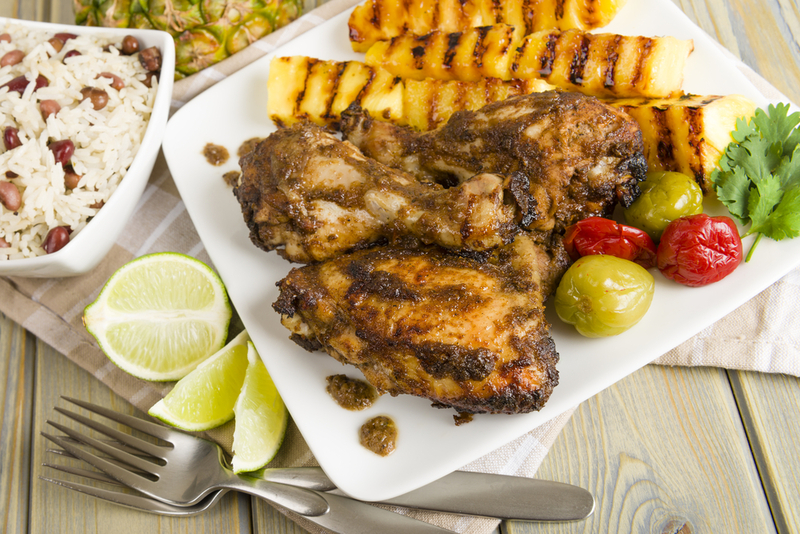 Taste Jamaica with its most famous dish, jerk chicken! If you go to Jamaica and don’t eat jerk, you have missed something big. And we can say this because we definitely did that one time. Learn from our mistakes – eat the jerk. (Pork, tofu, fish, and shrimp are valid substitutions for chicken.) You can find jerk throughout the island, in spots ranging from sit-down restaurants to roadside stands. 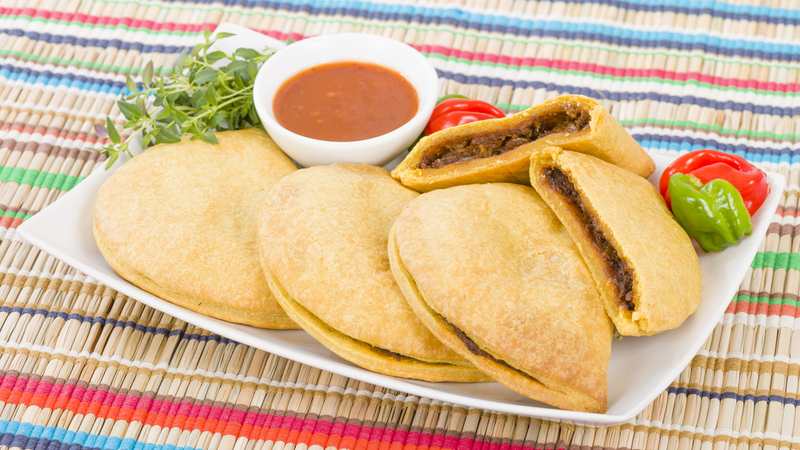 Technically there are way more fillings for these than just beef, but we love the way these flaky, savory turnovers taste filled with ground beef and spices. Vegetable and chicken varieties are also excellent. Grab one of these yellow-tinted pastries at either Juici Patties or Tastee Patties – or get one of each and join the age-old debate over who makes them better! What’s better than dumplings? Fried cornbread dumplings. These little bite-sized snacks are light and delicious, and eating them is fun – kind of like a festival! …Yeah, we’ll see ourselves out. Basically the national dish of Jamaica, this can be eaten as either breakfast or dinner, and is often served alongside fried plantains, boiled green bananas, or breadfruit (see number six!). The ackee fruit is originally from Ghana, and the fish is dried cod that’s usually soaked overnight to remove most of the salt. 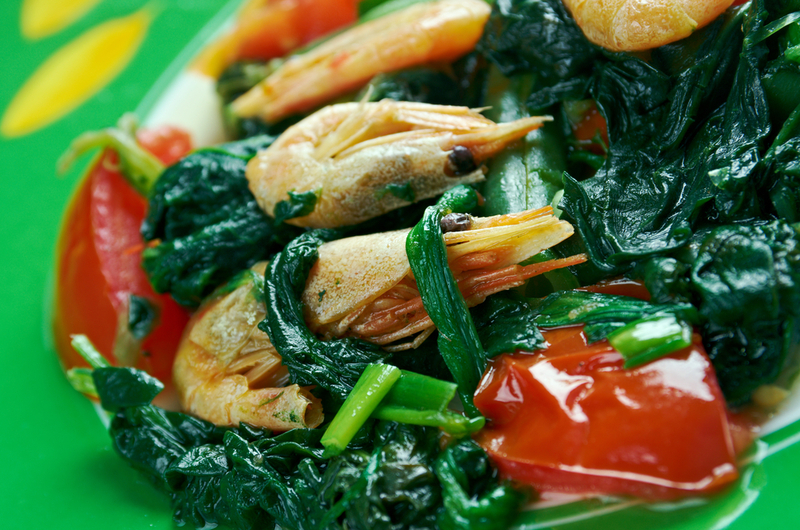 This dish of greens is made throughout the Caribbean, but the Jamaican version is distinctive. The main ingredient is amaranth leaves, known locally as callaloo, and it is simply steamed with salt, onions, and scallions. It’s a deceptively basic dish, but iconic, and one you’ve really got to try to understand. A starchy fruit native to the South Pacific, this light, slightly sweet food makes a great side dish for any meal. Often fried or roasted, breadfruit has a taste a bit like potato, and as a staple of Jamaican cuisine, you really should give it a try! This stew usually consists of fish (most often mackerel or cod), coconut milk, yam, tomato, onion, and various seasonings. Often served with breadfruit, you can find it in restaurants throughout Jamaica, and it is even commonly eaten for breakfast. This condiment is basically the Sriracha of Jamaica, without the overwhelming spiciness. 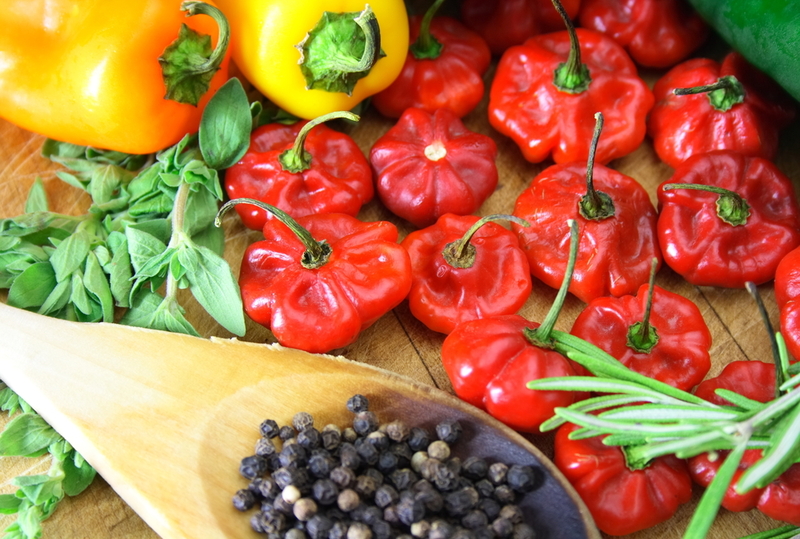 Don’t get us wrong, there are hot versions of Pickapeppa sauce available, some made with extra hot Scotch Bonnet peppers (which are famously spicy). But there are also mild versions, and even a mango variety. Related: Discover Paradise in Jamaica! No trip to Jamaica is complete without sampling the island’s most famous beer (It’s not quite the same as the Red Stripe you can get at home, which is brewed in the States. The bottles you get in Jamaica are still brewed in Kingston). From its mild flavor to the distinctive shape of its bottle, Red Stripe is uniquely Jamaican. 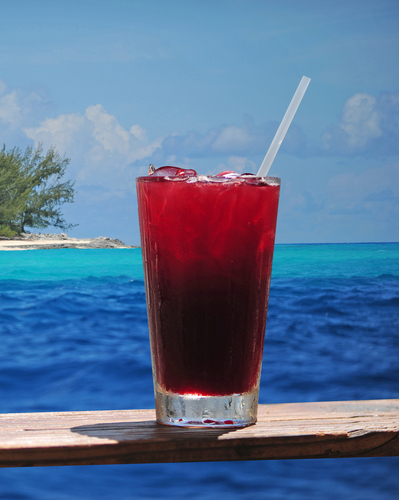 Can’t wait for your next vacation to taste the flavors of Jamaica? Make it yourself with this jerk pork recipe from Flight Centre’s own Community Marketing Manager, Lateefah Viley-Simpson! Savor Jerk Pork and these other delicious dishes on on your own trip to the paradise of Jamaica. Speak to your travel agent to start planning your foodie vacation today.